1 The Awakening What causes the Awakening is when an abductee begins to have recall of their experiences. Most of the time it caused by a dream, a recurring dream or a ufo sighting. The person will sense that the dream feels like a real event. 2. A person will notice they have lost time or gained time. 3. Sleep walking, even driving while sleeping. Finding dirt or sand in your car. New millage on your car but you don’t remember going anywhere. 4. Electronics seem to turn off or not work correctly when you are around them. 5. The seance of being watched or followed even when there’s no one around. 6. Meeting strangers who say they know you and you have a sense you have met them before. 7. A bruises, scoop marks, indentions that look like finger marks, triangle shapes on their skin or puncher marks. Other strange marks on their body. 8. A family history of alien abduction. 9. Childhood dreams of strange encounters with nonhuman beings. 10. 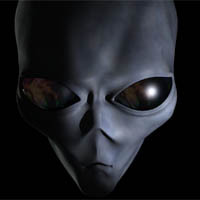 Detailed description of extraterrestrials, such as hands or feet, skin color 11 Meeting people who say they have had contact with aliens and feeling a connection to them. 12. The person has seen a craft. 13. The person has seen an alien in their home. 14. A sense something or someone is coming for you or that something has happened, but you can’t remember what. 15. They know who’s on the phone when it rings call or who is knocking at the door. 16. A new understanding of the world and a knowledge above your formal education. 17. Blood types rh neg seems to be taken more so that increases the chance of you being an abductee. 18. Eye color the same as the blood types all eye color or taken but it seem green and blue stand a better chance of being taken. 19. Having knowledge of the inside the craft and its workings. 20. Knowledge of things like the blue plasma, the shape of eyes, the size of the eyes, skin color. 21. Experiments done to them. 22. Does their spouse feels or see anything? How do their pets act? 24. Do they remember seeing Earth from space? 25. Scar from surgery that or completely healed but you have no memories of ever have the operation?